For the first time ever, the BMW M5 comes standard with all-wheel drive. But the tail-out, Full Opposite Lock, burnout-thirsty hoons out there can relax, because there’s also a rear-wheel drive mode in that all-wheel drive system just as the M-gods intended. Here’s how it works. M xDrive allows the driver to use the infotainment system to toggle between different four-wheel drive modes, and also into rear-wheel drive. BMW says in its press release that when the driver turns on the vehicle, it always starts in four-wheel drive with stability control on. From there, drivers can engage what BMW calls a “4WD Sport Mode,” which sends more power to the rear and lets the tires slip a bit more before reeling in the fun with stability control. Once drivers cut off that stability control, though, those two four-wheel drive options remain, but are joined by a third mode: two-wheel drive. And of course, because hell hasn’t frozen over, those two wheels are the rears. 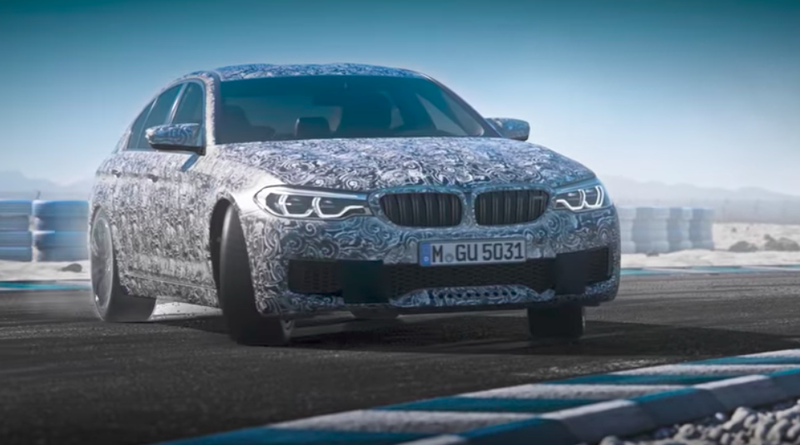 CEO of BMW’s M division Frank van Meel says the system uses an M Steptronic eight-speed transfer case especially suited for this particular four-wheel drive system. In the all-wheel drive mode, this center differential sends power to the front wheels when the rears run out of grip, per instructions from a Central Intelligence Unit. The Central Intelligence Unit takes inputs from various sensors (based on the graphic in the top video, those sensors appear to include the steering angle sensor, wheel speed sensors, yaw sensors and throttle position sensor) to apportion power appropriately front and rear. The Central Intelligence Unit also controls the active rear M differential, optimizing left-to-right power distribution as well. Frank van Meel deserves much of the credit for this wizardry, as he’s spent considerable time developing quattro all-wheel drive systems for Audi prior to joining BMW. I, for one, welcome this new dual drive-wheel M5. Not only does it promise awesome 0-60 launch times of under 3.5 seconds, but handling and hooning will likely be undisturbed from the previous car. Especially since, with the carbon fiber roof, this V8-powered M5 is lighter than the rear-drive outgoing model.